Imelda O’Reilly is an award winning filmmaker from Kildare, Ireland and she fully translates her homegrown stories and personal endearments to her work in film. Her short film Eggs and Soldiers (2016) places family values and first generation tradition on the forefront of its narrative. 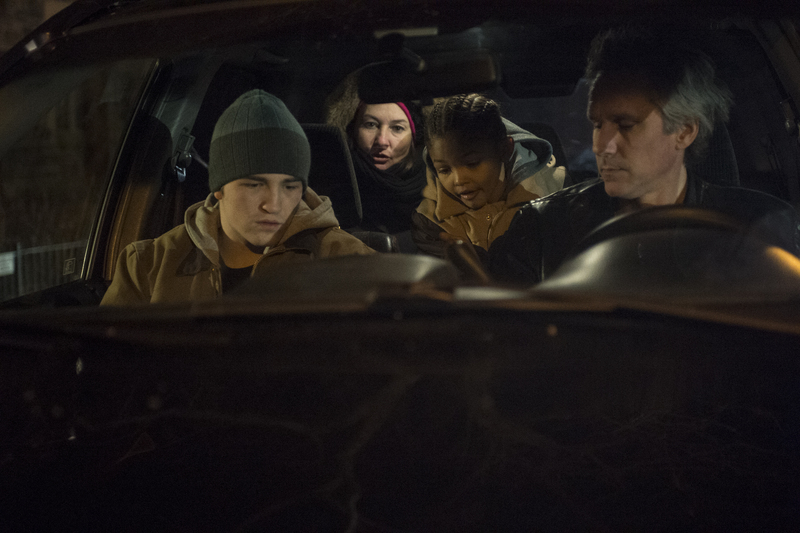 Ned (Deema Aitken) is the 17 year-old son to a first generation Irish father (Quentin Maré). He struggles to bring his bi-racial, half-brother Marco (Jomil Elijah Robinson) a proper Irish Christmas experience. 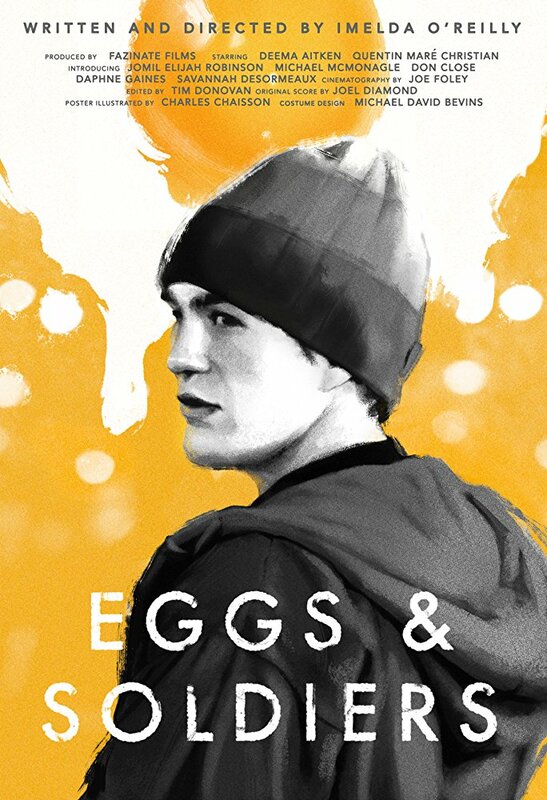 The title ‘Eggs and Soldiers’ is actually the meal Marco requests to eat in the beginning of the film, a common brunch in the Irish menu and a brilliant little name for a film that is just as traditional at heart. After their father forgets to buy the tree on his way home from the bar, Ned feels he owes it to himself and Marco to bring the joy of the holiday home and goes out to get it himself, assuming the role of a parent. It explores the significance in the complexity of different generations, traditions, and even the inclusive nature of a close diverse little family. I had the pleasure of interviewing director Imelda O’Reilly about her approach to this endearing little film and discover what passions it sprouted from. Here in your film ‘Eggs and Soldiers’, you communicate a lot of family principles in a short period of time. How did you come up with your narrative and what led you to communicate this onto the screen? The inspiration for Eggs and Soldiers came from wanting to capture a silent explosion in the life of a teenage boy named Ned, the main protagonist, when he finds himself in a moment of crisis where he has to make a difficult decision. 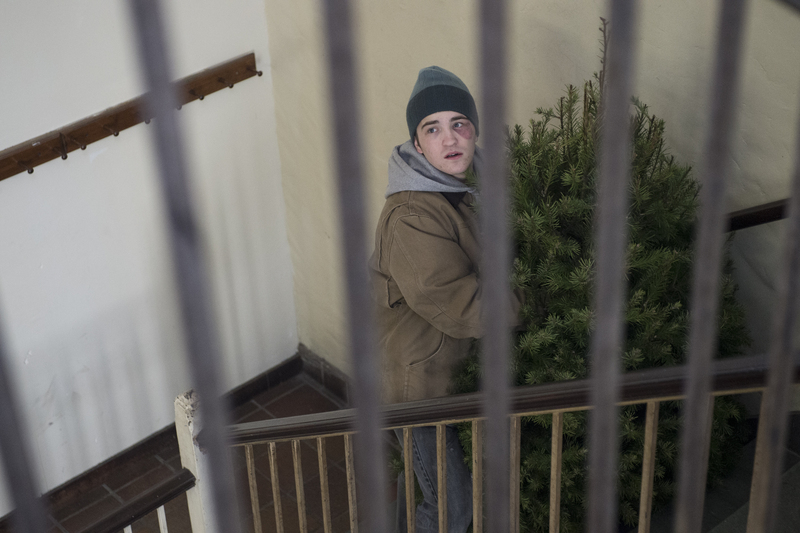 Another inspiring image I had was of a teenage boy who couldn’t afford a tree on Christmas Eve. The third image or inspiration was remembering stories I heard as a child growing up in Ireland about people drinking too much at Christmas time causing family feuds to break out. The character of Christian is full of contradictions. I wanted to create a character that, despite his flaws, he still made the right moral decision when it came to being a father for his children. Christian has a violent rage that alternates with him playing the victim of his given circumstances and in rare moments he tries to be a loving father, despite his failures. His character also has this dark sense of humor. I wanted to play around with the notion of an unreliable narrator, so when we hear Christian speak in the pub to his friend, Mick, the audience are unsure to trust whether what he is saying about his younger son Marco’s mother is true. Christian is deeply wounded from his past and, like a haunted soul, he searches the night for companionship or friends who will lend an ear to his sob story. It is clear that Christian came from a broken home, and his deepest struggle is not to repeat the past. His internal struggle is not to replicate the behavior of his own father. I’m also a big fan of the subconscious when you are working creatively and, like Beckett [an Irish novelist, playwright], you get to know your characters by walking and talking with them, so the film unravels in your head but not always in a beginning, middle and end format. I personally gravitate to films shot at night. It’s so aesthetically pleasing to me. What role did night and a cold Christmas Eve play in your film? How did you decide on your colors and style of cinematography here? Shooting at night was a crucial element in the story, especially when Ned is kicked out of his home. It was winter in New York and freezing temperatures and I have to commend the cast and crew who did an amazing job, as our film didn’t have a big budget. 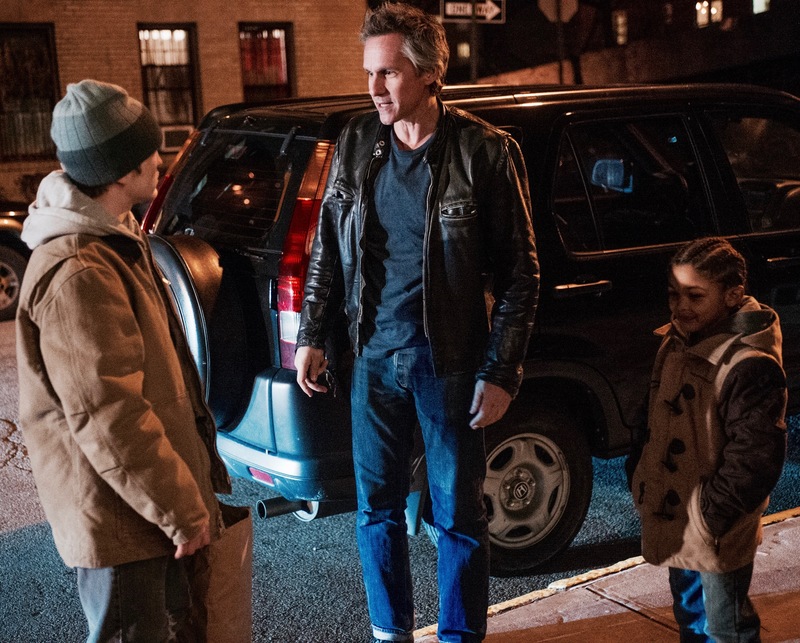 When Ned walks the streets of upper Manhattan at night, it is a crisis point for his character in the film. I discussed having a gritty aesthetic for my film with my cinematographer, Joe Foley, who did an excellent job. We decided on long lenses and discussed the look we wanted for the night scenes, that are always more challenging to shoot. 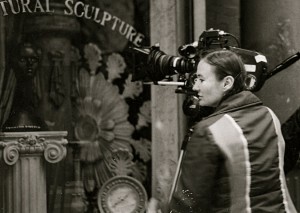 Setting the film on Christmas Eve was part of the design of the film. The tree is a unifying image and shooting at night captures a surreal quality, almost a feeling where time stops. The Christmas tree and the symbol of the holidays represent family coming together and sharing and exchanging good times. However, having Ned walk through the cold streets alone amplifies the difficulty of his situation. He is isolated, parenting his younger brother at his father’s expense, and out in the middle of winter forced to face his dilemma. I wanted muted colors to show how their world is bleak, but also ,through the dialogue, some humor is added intentionally which helps them pull through. The slow introduction of color, as you artfully mention, comes when Ned’s character manages to get a tree for the family toward the end of the film. By having the characters dress in muted colors, it helps give the film a visceral dimension, making them more three dimensional as opposed to one dimensional. I am referencing the cinema of moral discontent and also the melodramatic tropes of realism. The internal world of the characters is communicated through the use of the camera as narrator. Why did you want to make a story about a single father and his two sons? How does Ned and his brother’s relationship shape the story? Oftentimes we hear stories of single mothers and I wanted to push back against that cliché, as there are many single fathers in the world who raise their children. I intended to capture the contradictory nuance of Christian’s character and show a multi-layered character who is struggling to raise his two sons. Ned is much older than Marco so he finds himself in a position where he is parenting his younger half-brother. Through the narrative, one can observe the closeness of the two brothers, and how Marco, who is bi-racial, is trying to see how he fits in, in relation to their relatives in Ireland. As an immigrant, I myself have experienced the struggles of that plight and I wanted to explore reverse identity. When one is born in another country but your grandparents still live in the country of your parent’s origin, this informs an individual’s identity and sense of belonging. Christian is first generation Irish. The culmination of Marco and Ned’s relationship is when he takes on the father role and returns home with the tree. It is an act of care taking for his brother that goes beyond his role in the family. So in a way Ned is the real hero in the film. I tried to show this through the music in the film. It was scored by Joel Diamond, Donie Carroll, and Gabriel Donohue, who helped with the Irish songs that we recorded for the bar scene. What does being a female filmmaker in this day and age mean to you? Has film impacted your stride for success as a woman in a male-dominated profession? Being a female filmmaker in independent film is challenging. The industry is changing drastically in terms of distribution and now with all the emphasis on television with Netflix and Amazon. Making films is very difficult even if you have a budget. There are a lot of things that have to fall into place. I am grateful I got to make this film and I’m hoping to direct a feature version of this story titled ‘We’re the Kids in America,’ and I am currently looking for a producer. It’s often challenging too, knowing if you don’t have a star in your film, it makes it much more difficult to finance and distribute the film. I believe we are at a time where the arts are in crisis. There is less funding for the arts and invariably that impacts the kinds of films being made today. I remember being really inspired by the avant-garde filmmakers like Jonas Mekas, Alejandro Jodorowsky, Maya Deren, Rainer Werner Fassbinder, Kenneth Anger, Warhol, Agnes Varda, and of course my hero, David Lynch. They are mixing genres and pushing the boundaries of real cinema, that is the essence of making true art. There are high expectations in the marketplace and often that can hurt more independent films that are hidden gems- and you hope a grass roots following will find them and they emerge as a cult classic. ‘Eggs and Soldiers’ has played at 43 festivals across nine different countries. 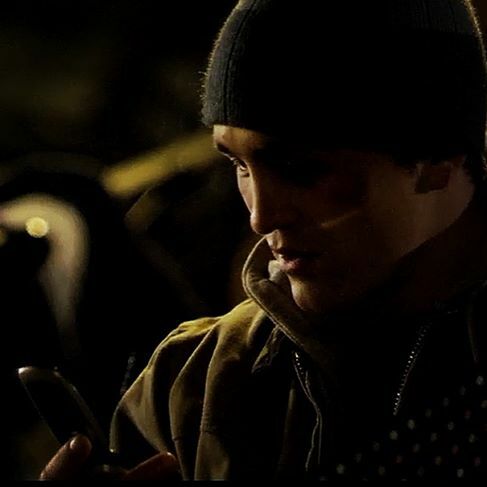 It has screened on RTE, the Irish television station, and will be distributed by Shorts TV Europe. As a female filmmaker, I try to hire women on my crew and also people of color so there is diversity. The industry is very white male dominated so I do as much as I can in my small patch in the industry to help change those statistics. I love telling stories, so that is what drives me. I started out as a poet and playwright, and becoming a filmmaker gave me a bigger canvas to play upon. I keep fighting the big fight and applying for grants and putting my work out there, and hopefully I will eventually get funded to make my first feature film. I do believe art can create change and when I screen my film, I have a lot of folks come up afterwards and share their stories and that is when you know that your film is resonating on a deeper level. In what moment of your life did you take a step back and realize that filmmaking was what you wanted to pursue? I started out acting and writing and always knew I wanted a life in the arts although I hadn’t the foggiest it would be so difficult. I studied film in college and after my love affair with theater it felt natural to return to film. That brought me to the MFA program at Columbia University. Film can create change and is a powerful medium. I wrote and directed my plays in downtown Manhattan. The run of the plays were very short and all your work would disappear. I remember the moment I made the decision, I was in the lower east side watching the set of my play Faz In Ate being torn down and felt myself giving up hope- I decided next I am going to direct a film because the life of a film transcends the run of a play. It was a natural progression and one always has to keep growing, stay original and tell powerful unique stories that matter. I tell my students the most important thing to remember is believe in your own work over the life of your work. Making a film, for me, is a conversation with myself, attempting to shape an experience and shed light from the nonsensical thoughts that plague one when you sit alone with thoughts that haunt you. What’s next for Imelda O’Reilly? What are your short and long term goals moving forward? My short and long terms goals is to stay in the game and keep making inspiring independent personal films and continue to tell original meaningful stories. I have three feature screenplays I am developing, two set in Ireland, ‘Beneath the Boy’s Cry’ and ‘We’re the Kids in America,’ and one in Morocco titled ‘Article 475.’ In addition, I have another animated film titled ‘Emilita and the Asian Glen,’ that is about an Irish girl whose parents move to Asia. I have lived on four continents, Europe Africa, Asia and North America so I have a story to impart from each continent. As a producer, she founded Fazinate Productions in 1998 and has been producing content on four continents, Africa, Asia, Europe and North America. Imelda spent three years in Singapore as an Arts Professor in the graduate film program for New York University. She is currently an Assistant Professor at James Madison University. She also taught at Barnard College and the School for Visual Arts. Watch the trailer for ‘Eggs and Soldiers’ below and keep up with Imelda’s work, old and current, on her website with Fazinate Productions.